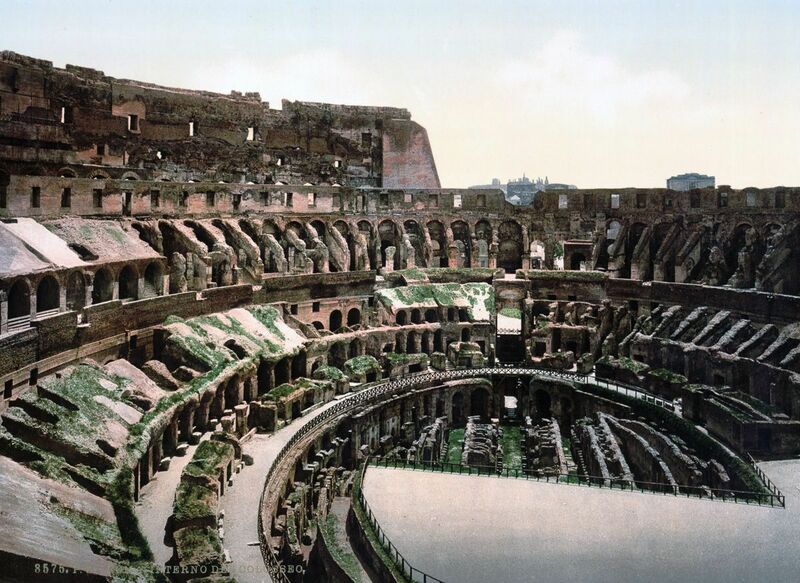 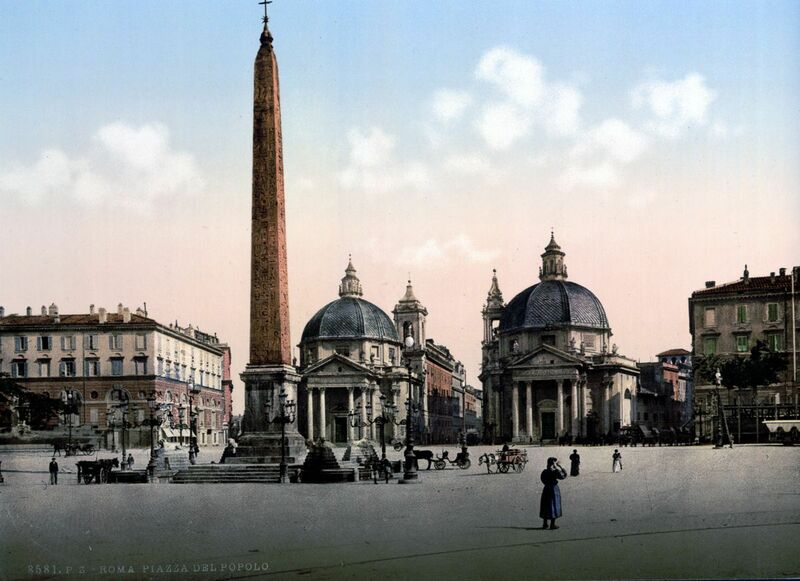 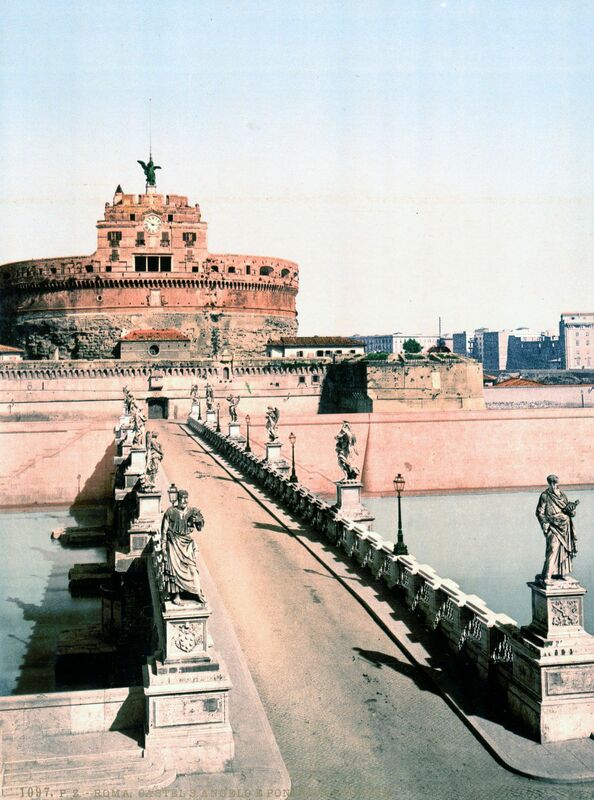 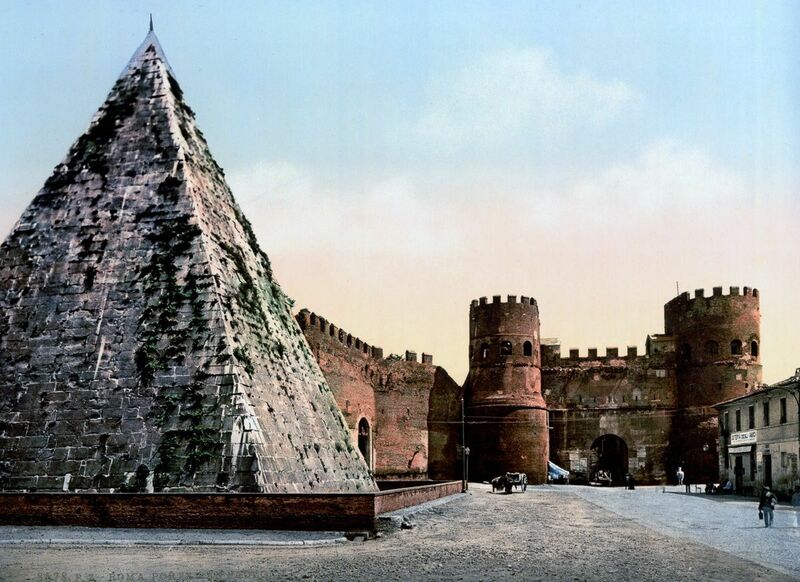 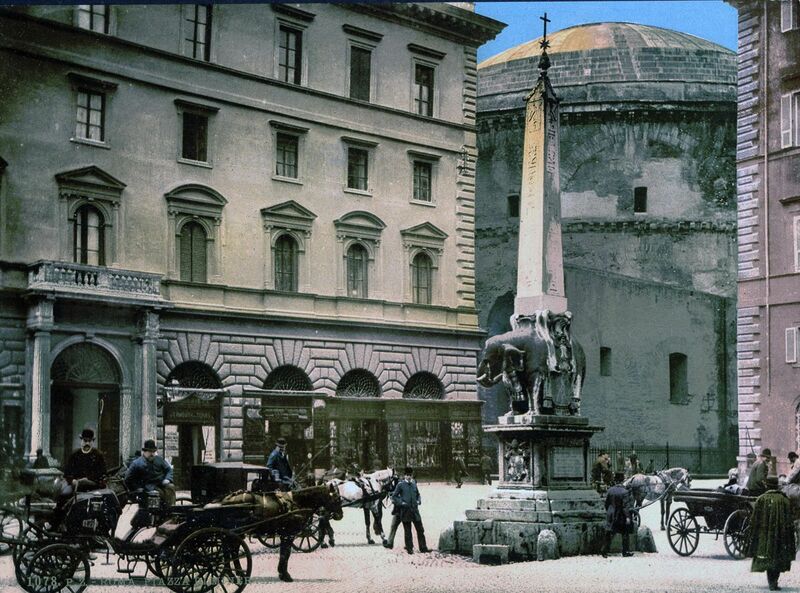 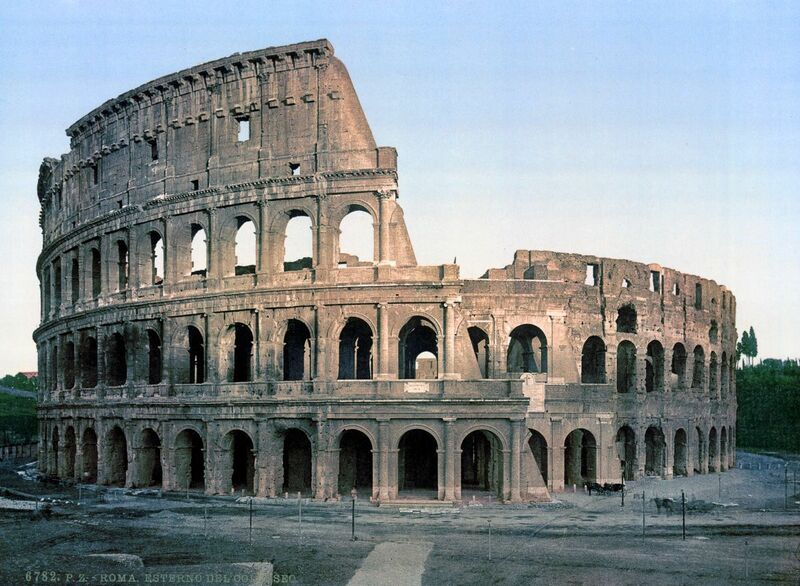 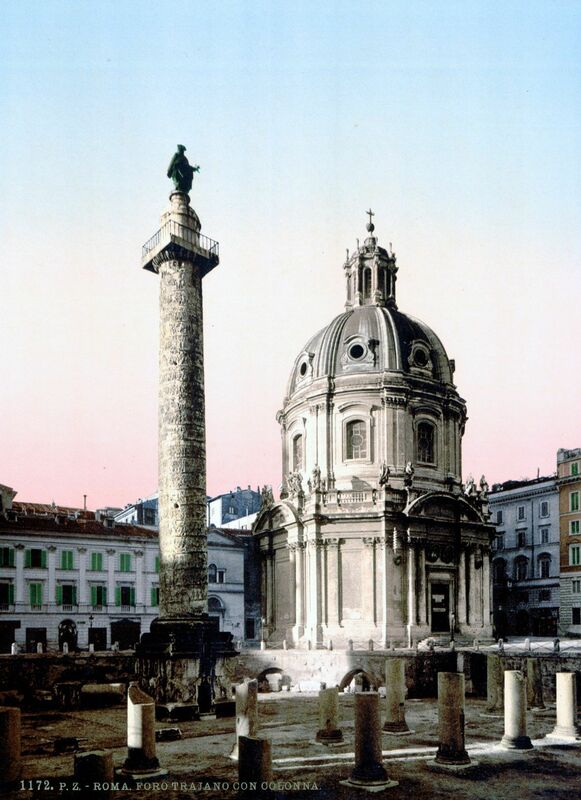 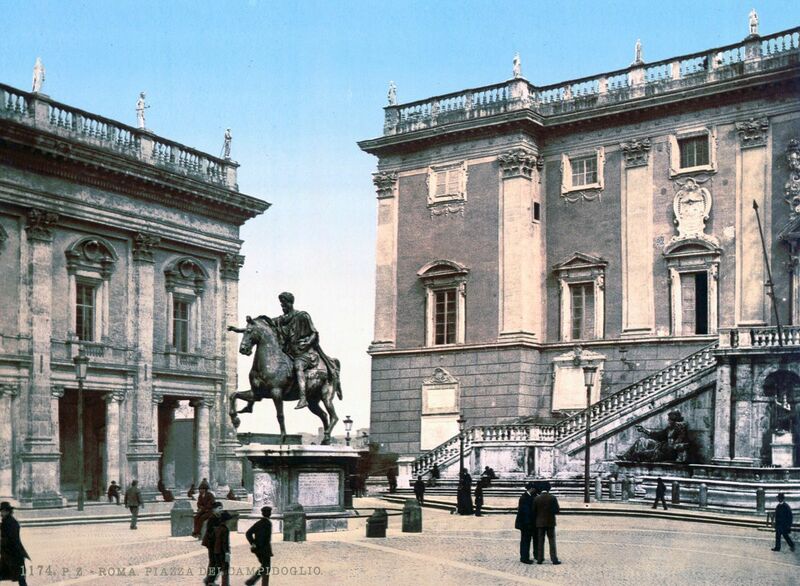 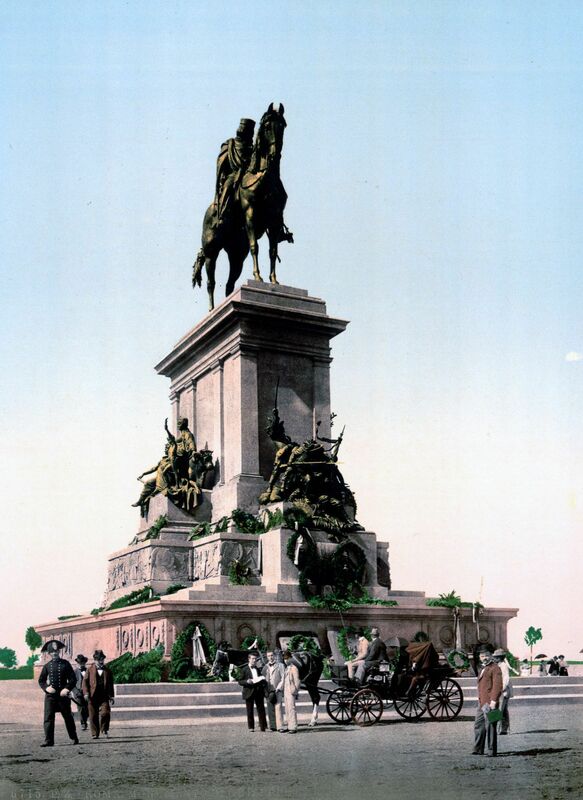 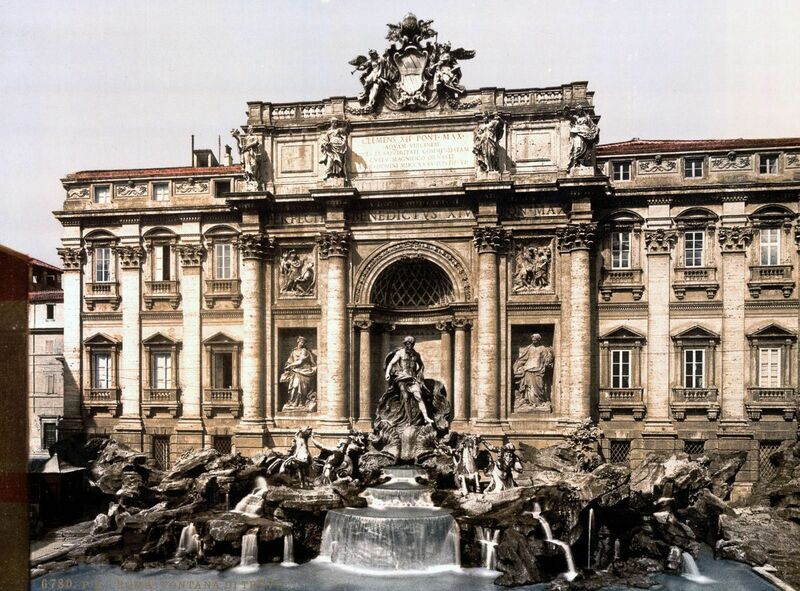 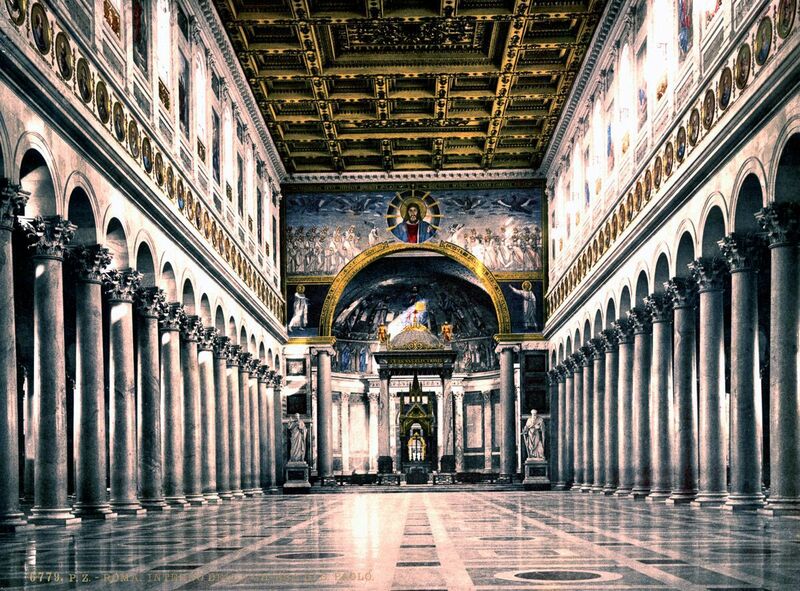 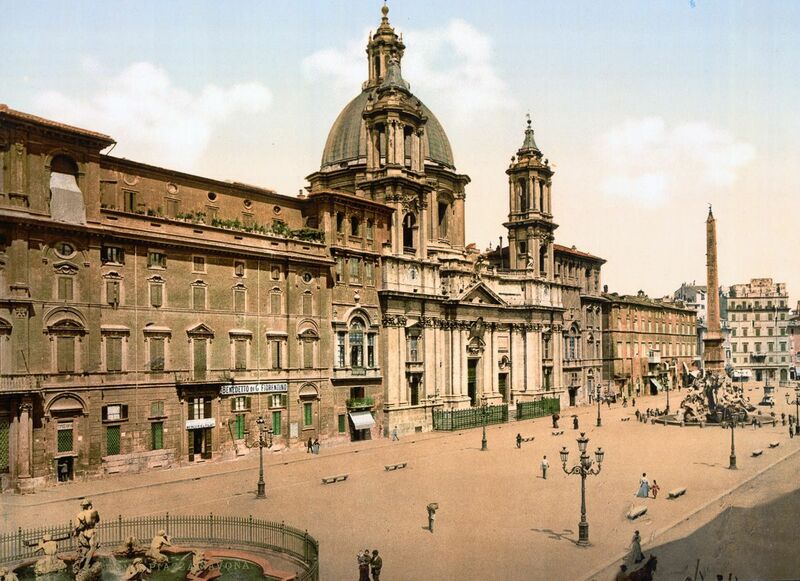 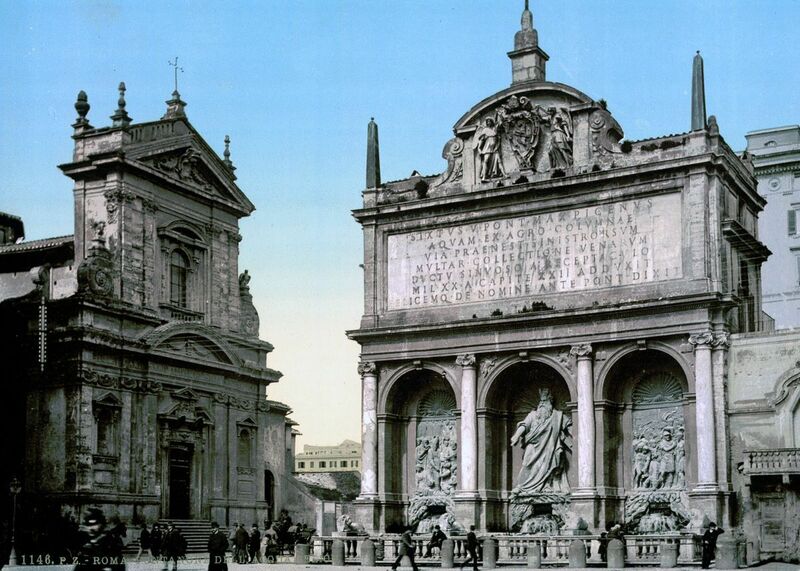 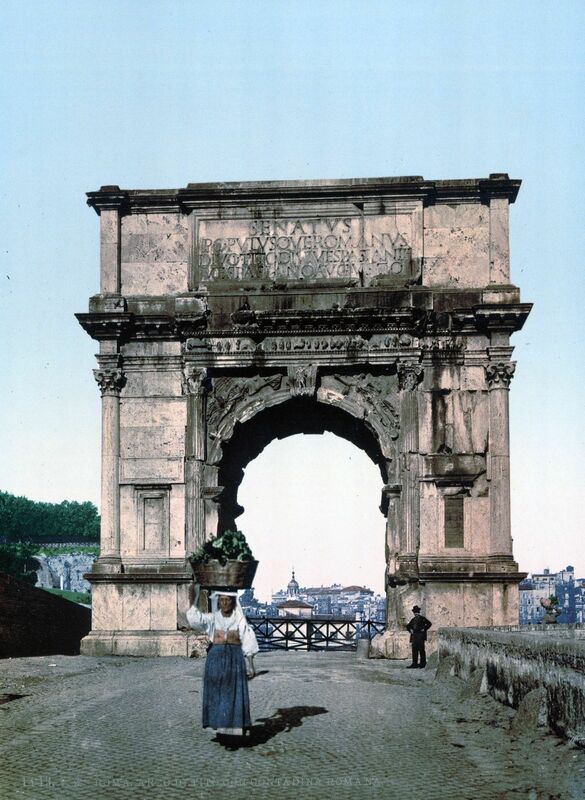 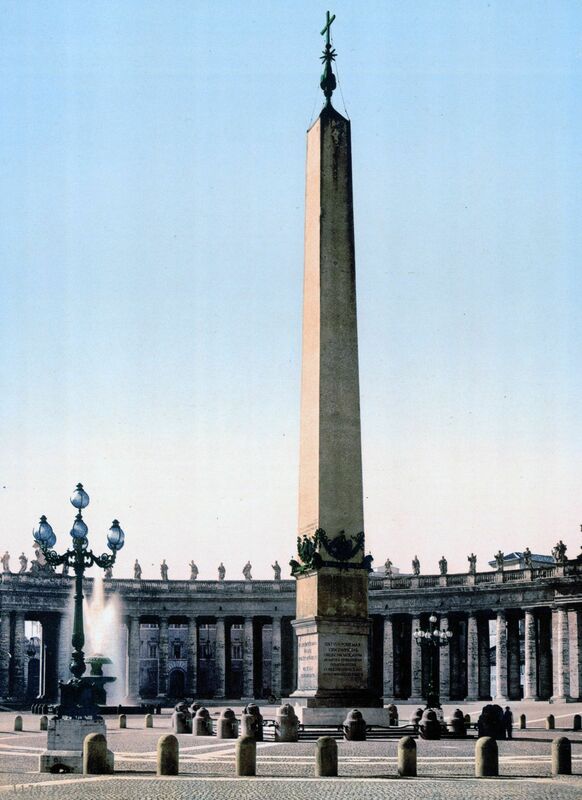 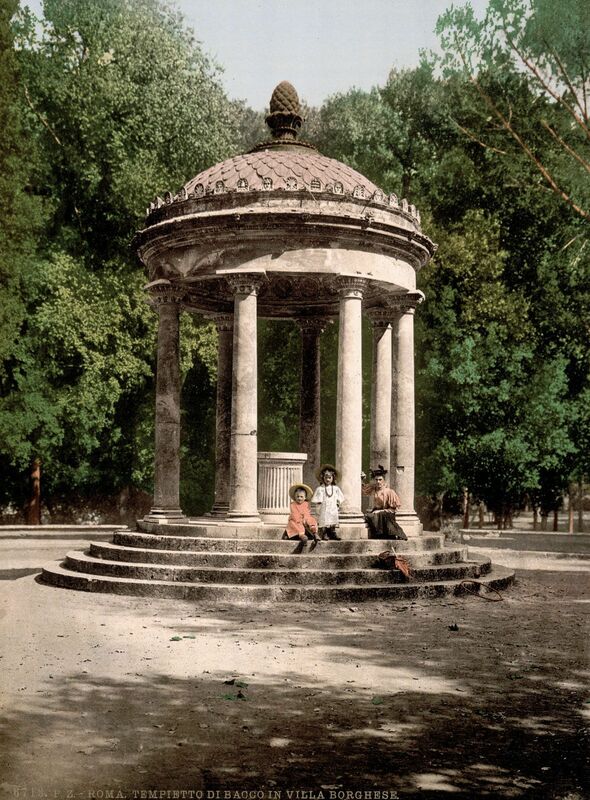 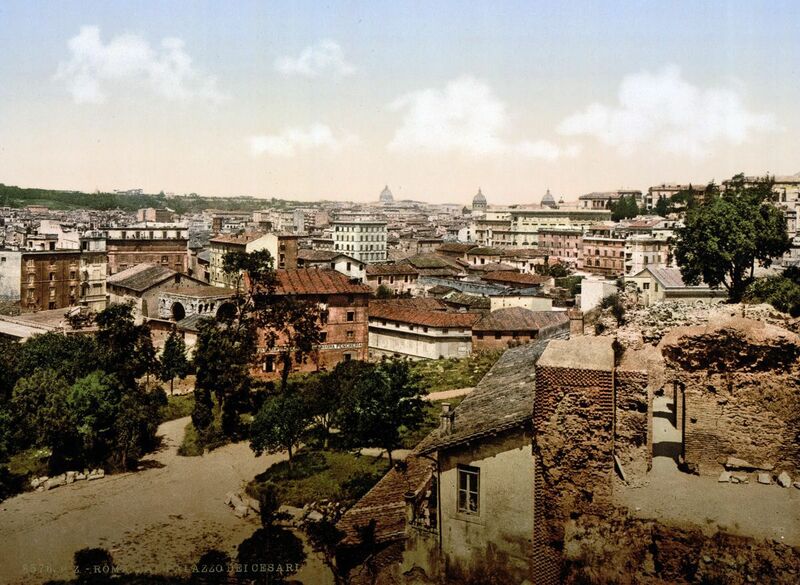 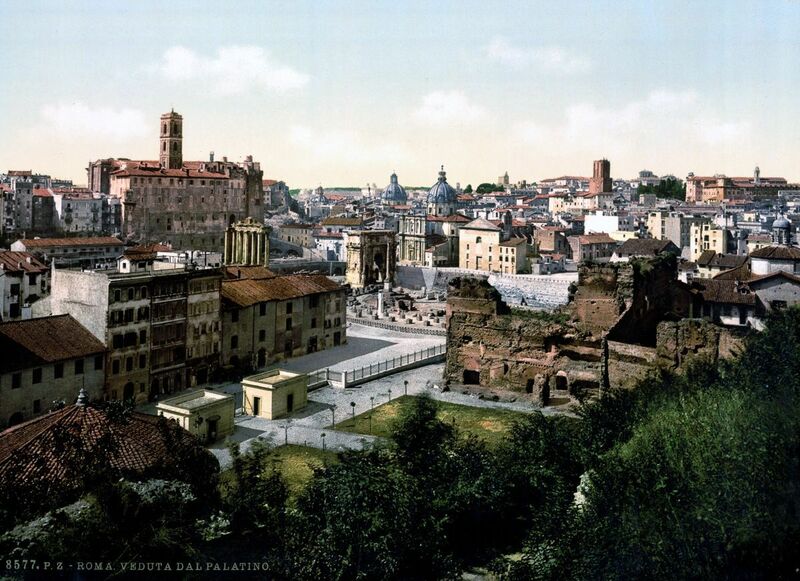 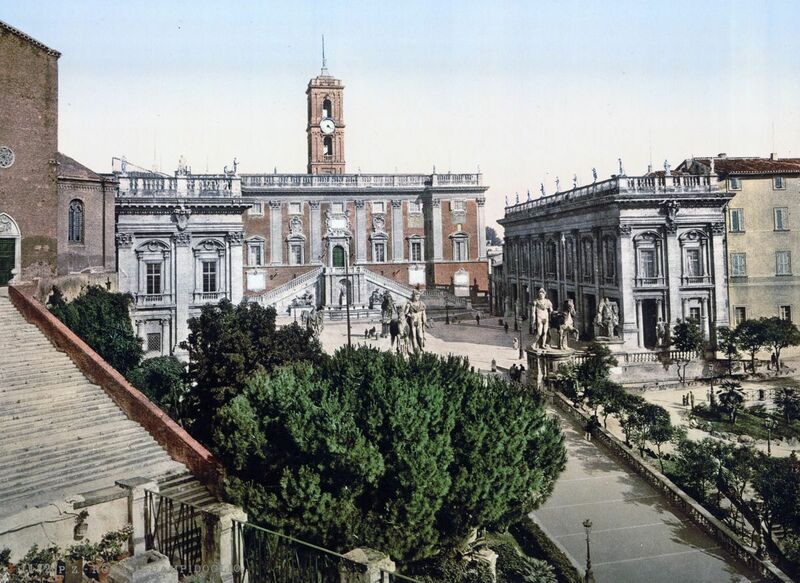 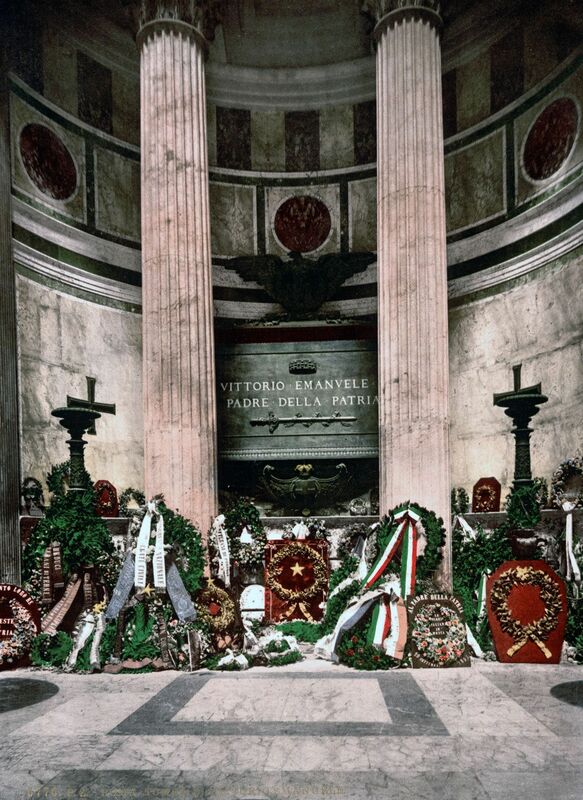 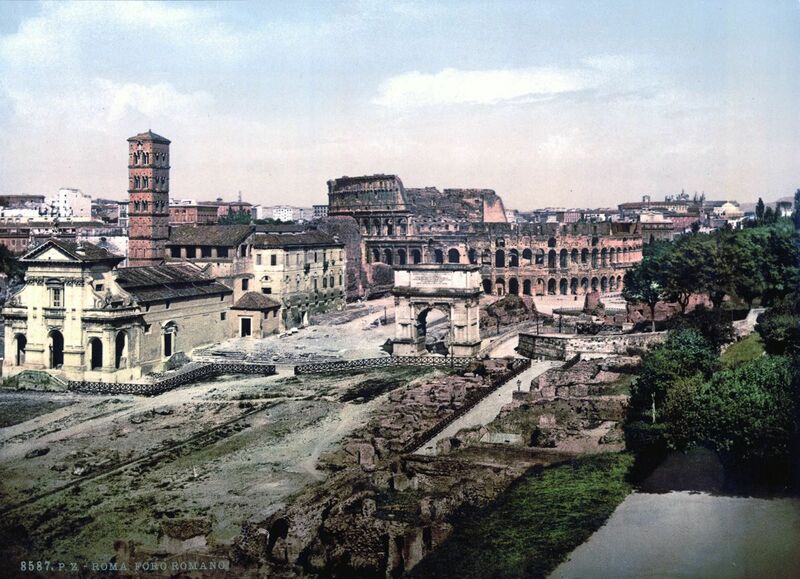 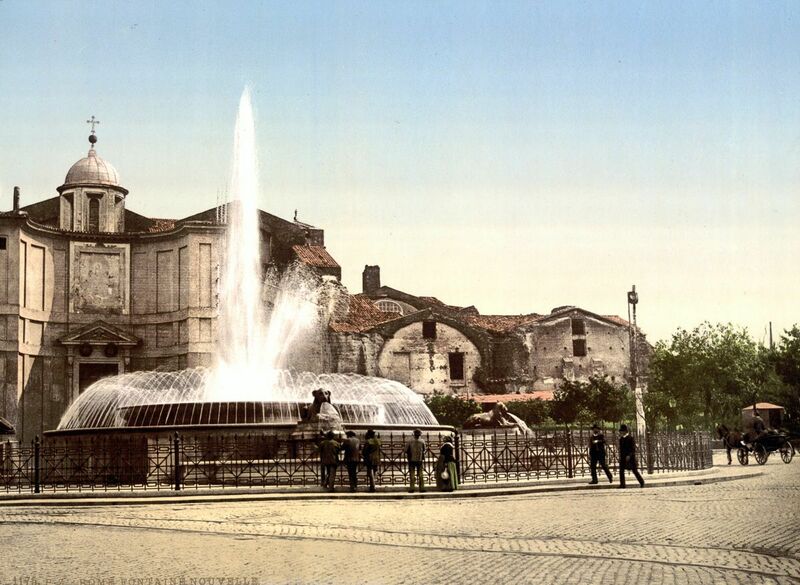 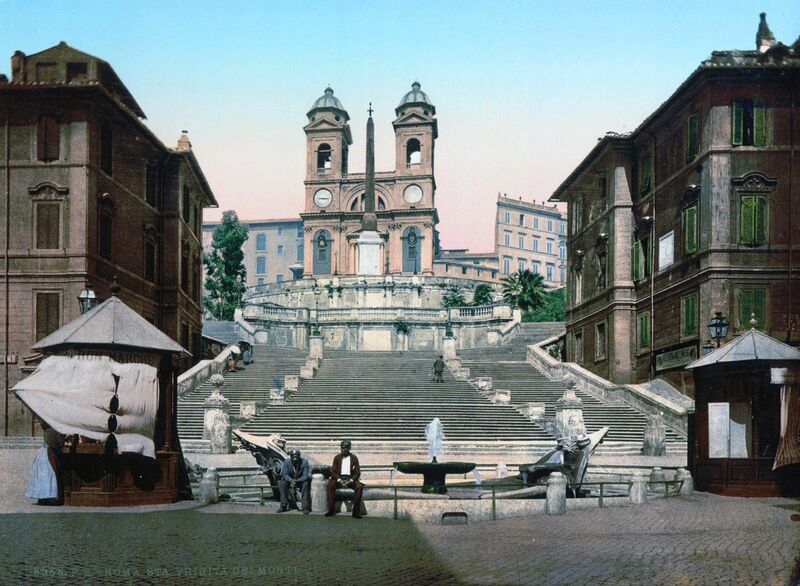 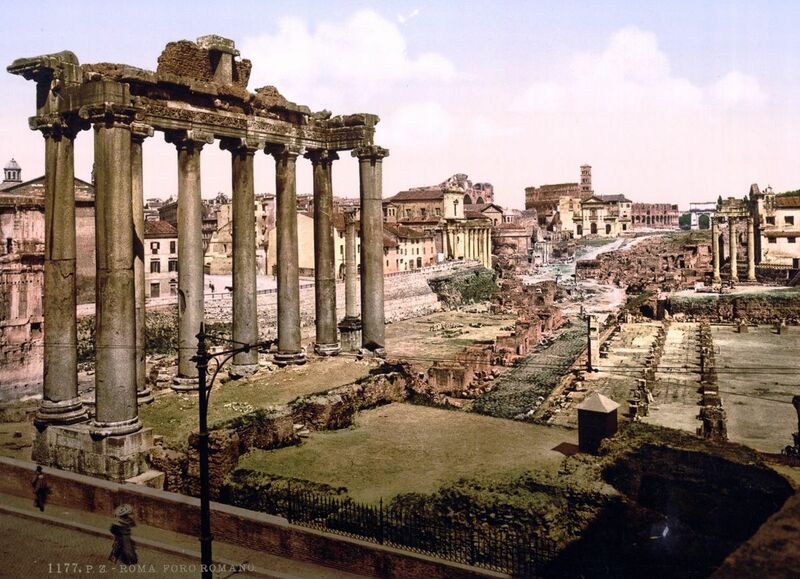 Take a tour of Rome with these photochrom postcards from 1890. 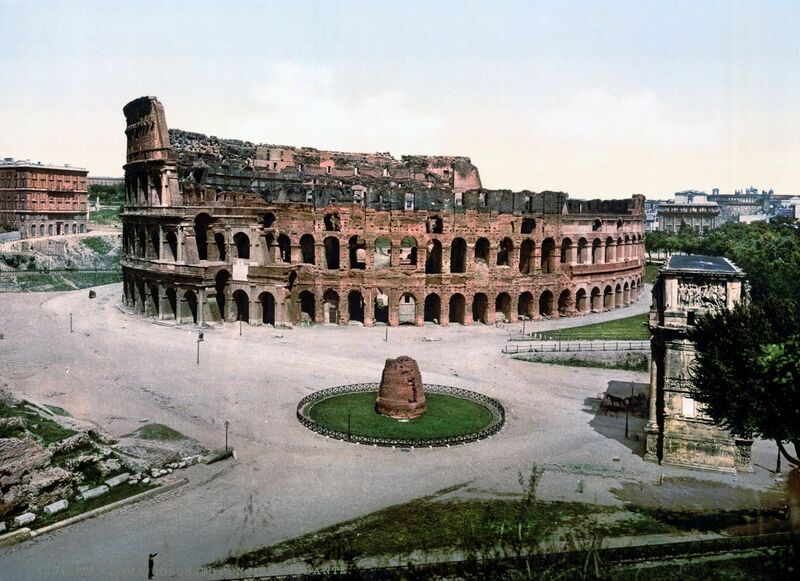 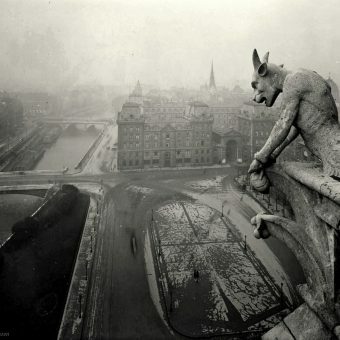 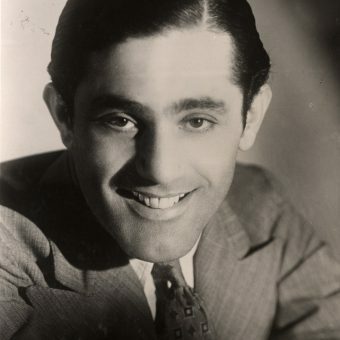 Shot in black and white and then colored by the innovative photochrom method where the negative is transferred onto a lithographic plate. 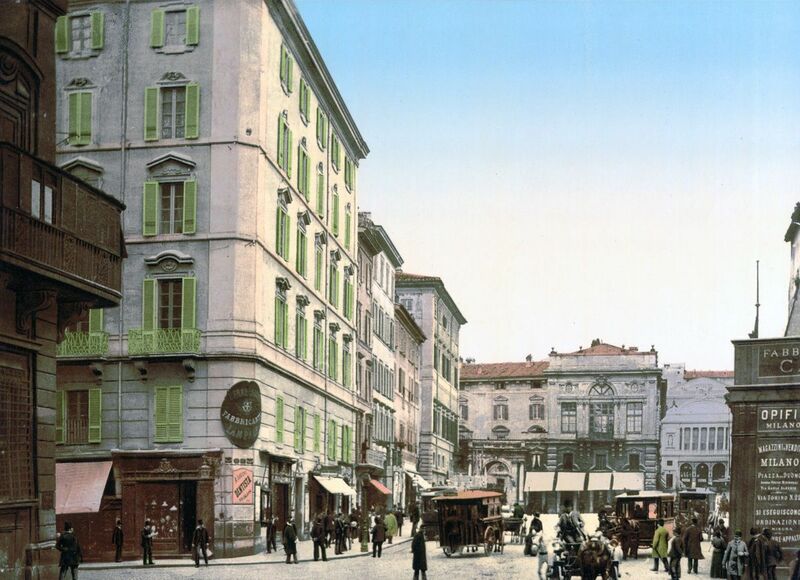 A process invented in the 1880s by Hans Jakob Schmid who worked for the Swiss company Orell Gessner Füssli – a printing firm whose history began in the 16th century. 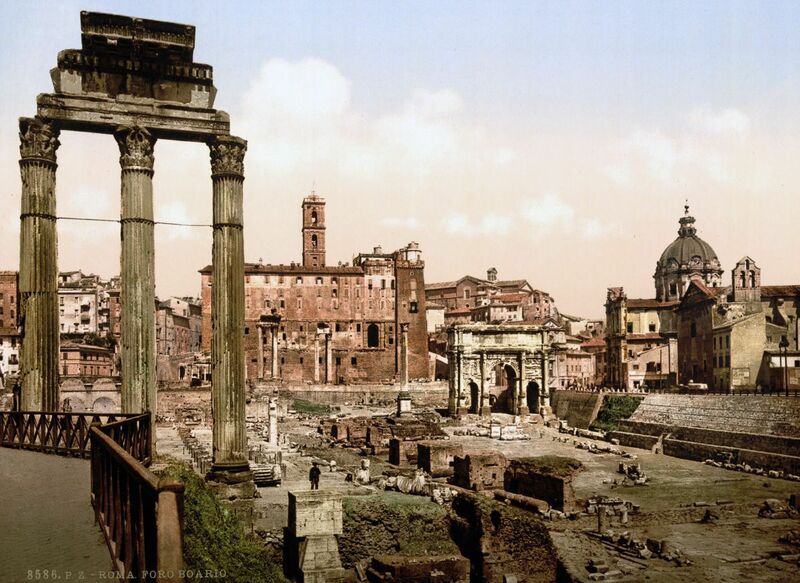 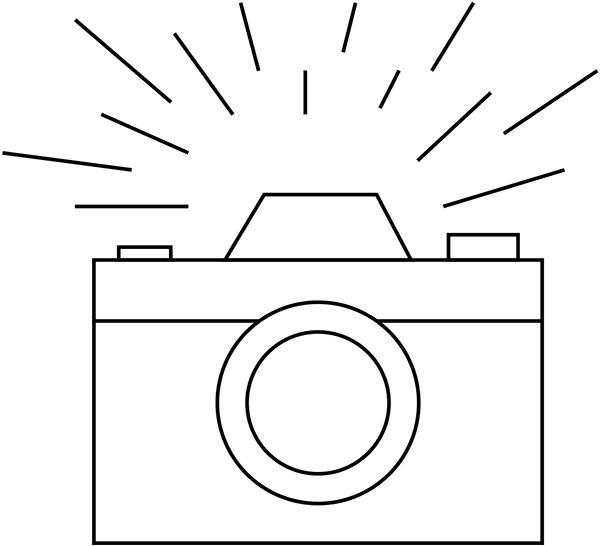 The ancient sites as they were then and largely as they are today. 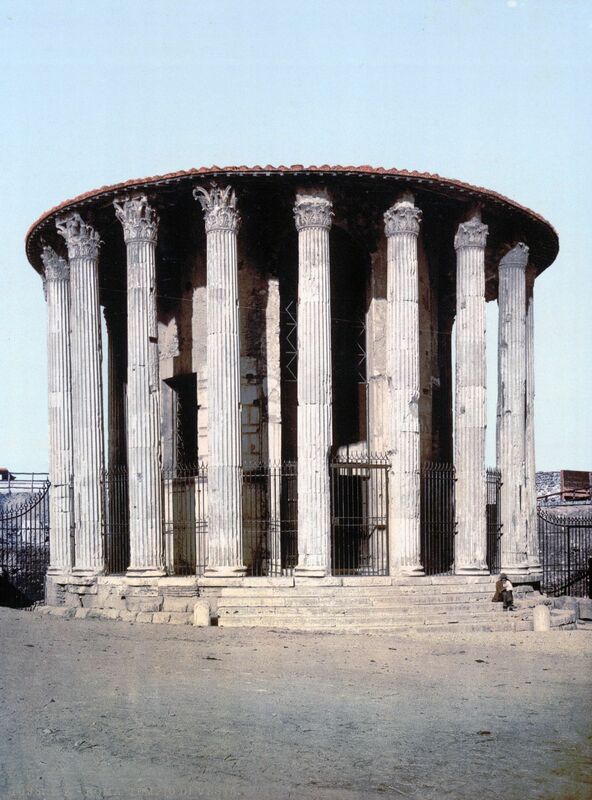 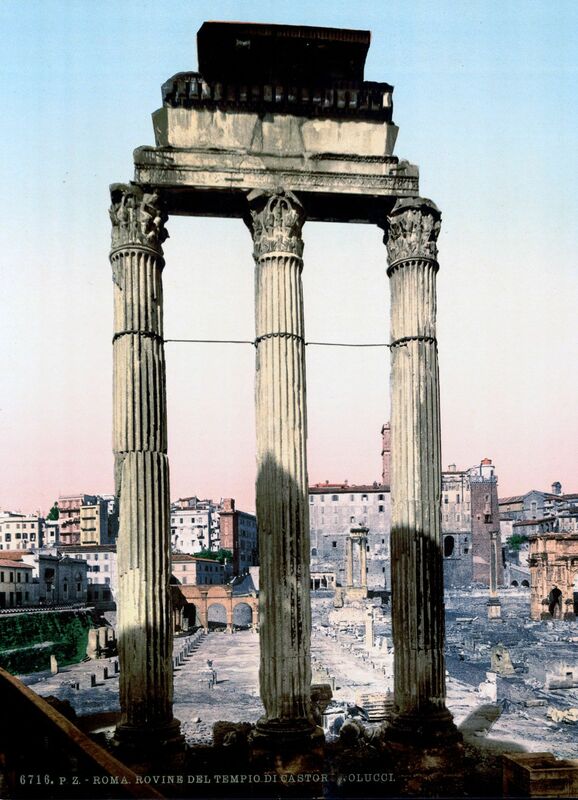 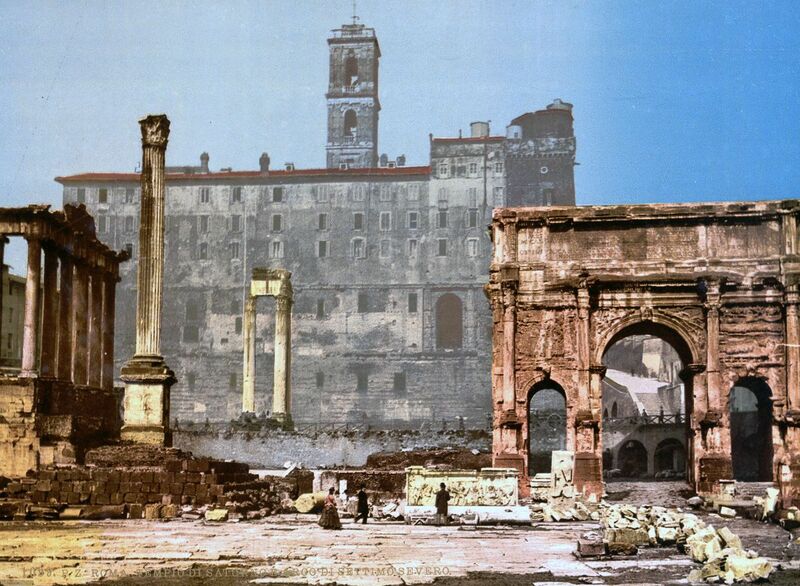 The Temple of Saturn and Triumphal Arch of Septimus Severus.